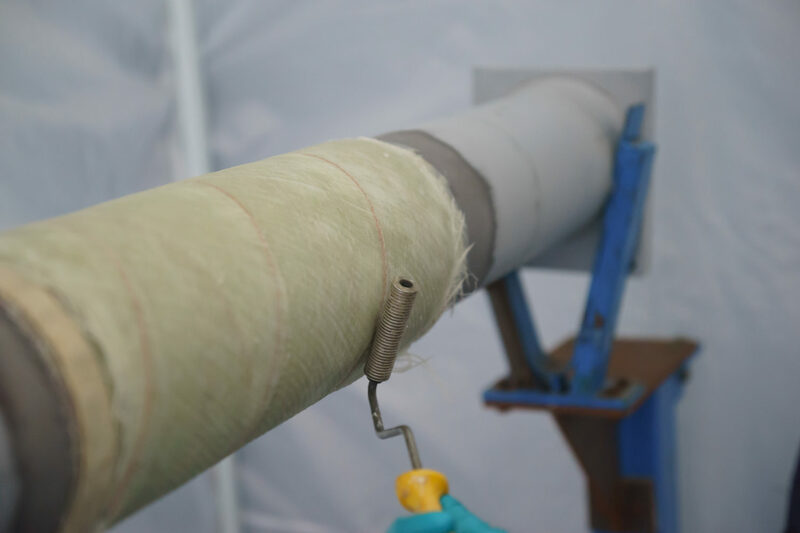 ACS-A was tasked by PETRONAS Research Sdn Bhd to qualify a proprietary composite overwrap repair system for both onshore and offshore repairs in accordance with ISO 24817 and also for corrosion protection. A qualification plan was developed and a test program was successfully undertaken involving 17 different types of tests and in excess of 400 specimens ranging from small coupons through to large hydrostatic test articles. Specimens and test articles were manufactured in the laboratory both in and out of water with application methodologies developed for the customer. The worked led to the qualification of the product, now referred to as PIPEASSURE™, and is now in use at a number of PETRONAS’ facilities, allowing plants to run uninterrupted while strengthening its network of pipelines and preventing leakage. The technology was also a recipient of a JEC Asia Innovation Award.